Experience Metro Detroit’s premier luxury vehicles with reliable service that’s on time, every time. Experience the finest in Detroit limousine rental and Detroit airport transportation with our new vehicles, certified chauffeurs, and guaranteed on time service. As a full-service limousine company, we are proud to serve the entire Detroit Metropolitan and Windsor area. Royal Limousine offers an elite group of fully insured and Michigan Department of Transportation certified new model limousines, sedans, SUV’s, shuttle vans, limo buses, coach buses, and minibuses, accompanied by the finest chauffeurs in the industry. We are committed to guaranteeing punctuality and safety for all of our customers. 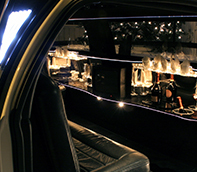 Our luxurious limo fleet is well suited for all of your private and special occasion needs. 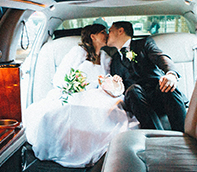 From corporate limo rentals and wedding limos, to exotic limousines for your bachelor or bachelorette parties, we can create a limo package to suit your individual needs. We offer competitive rates on all of our limo services, including your wedding day needs, hourly limo rentals, and airport transportation. We have a wide selection of custom limousines, corporate sedans, and party bus limos to fit any style. $150 for 3 hours! Choose the restaurant of your choice and we'll provide the transportation. Available Sunday - Thursday. Homecoming Special - Book 5 Hours and Get the 6th Free! Make your homecoming the VIP event you’ve always imagined and arrive in style! Contact us today to get a fast, free quote. The contents of this webpage are Copyright © 2019 Royal Limousine Service. All Rights Reserved.